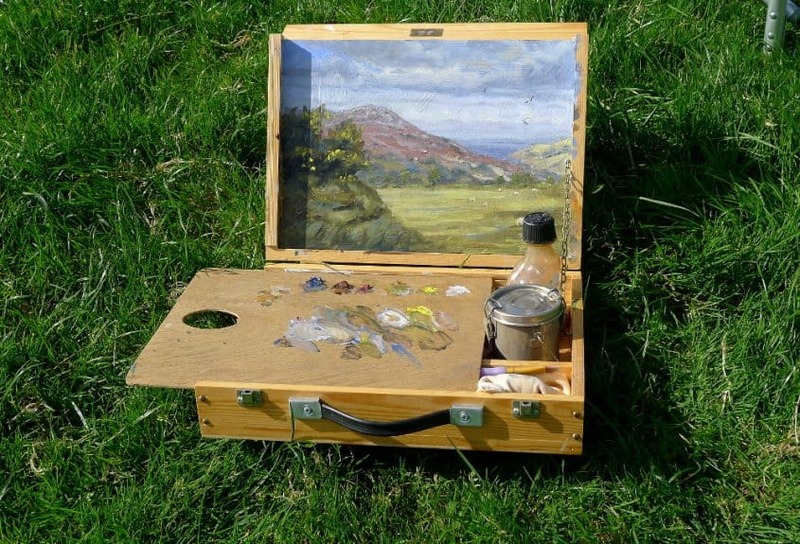 There’s nothing quite like painting outdoors, immersed in nature with the sun of your face as you paint. It’s a very different experience to painting indoors. One of the things you quickly learn when you paint outdoors is that you have to speed up. It’s all too easy when you paint indoors to take a long time thinking about your next brush stroke, colour, or which brush you’re going to use, and although this has it merits it’s often the case that your first instincts are the correct ones, and sometimes the more time you take to decide these thing the more likely you are to make the wrong choices. 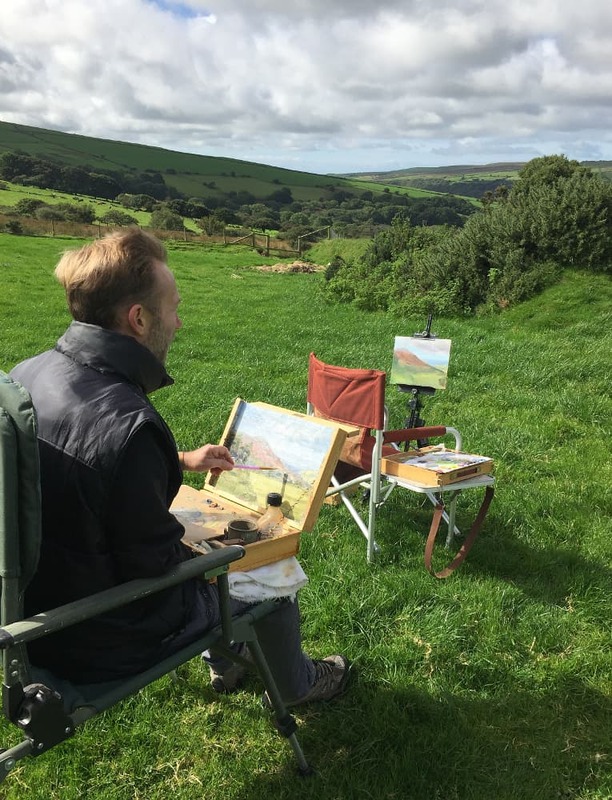 When painting outdoors time is limited, sometimes because of changing light conditions or weather conditions, sometimes because you simply have to be somewhere else in a few hours. So the onus is upon us to get the painting finished in one hit, and usually in no more than a couple of hours. 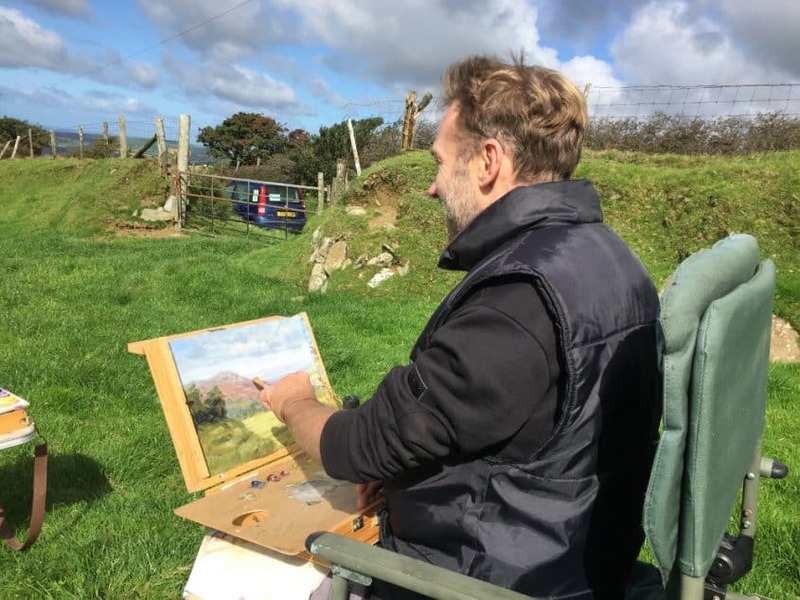 Of course we can take a few photographs of the scene to help us tweak what we’ve already painted once we’re back home or back in the studio, but there is no substitute for being on site and in front of the actual scene you’re painting. It’s very hard, when you look at a photograph of a scene, to gauge depth or shadow colour accurately for example. I paint using my pochade box when I’m painting outdoors. 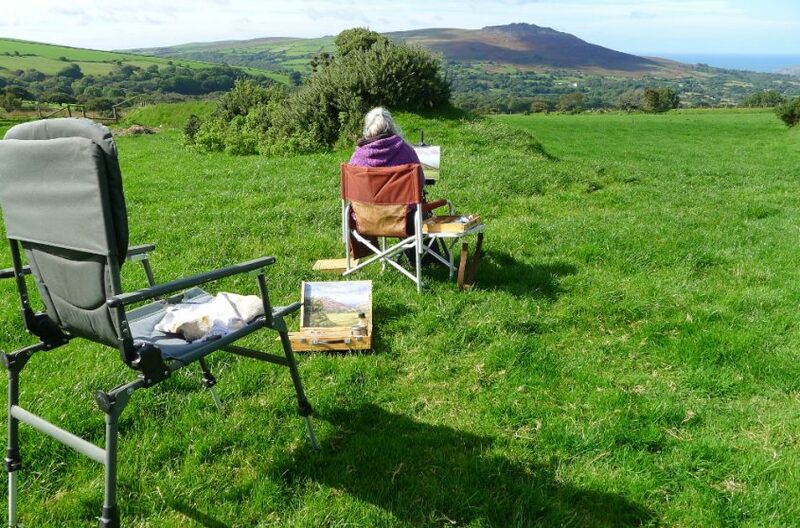 Diane Mathias painting using her small portable easel. 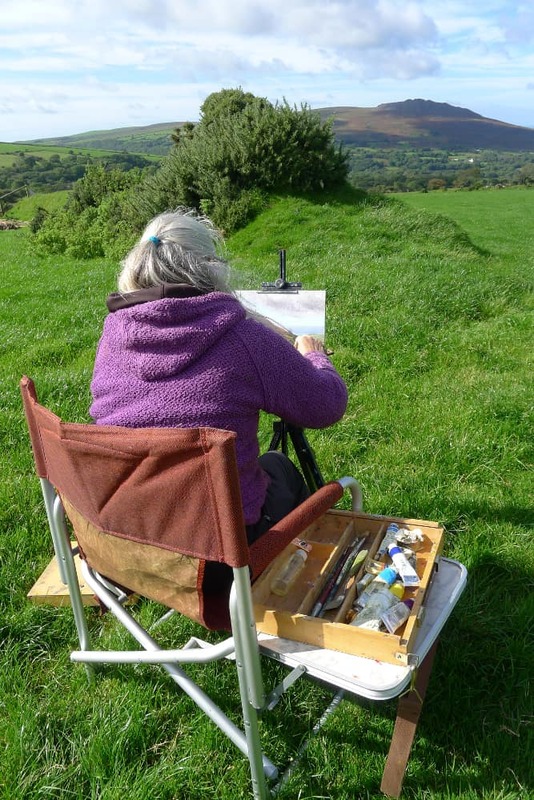 A lovely sunny day, a comfy chair and some paints – what could be better! 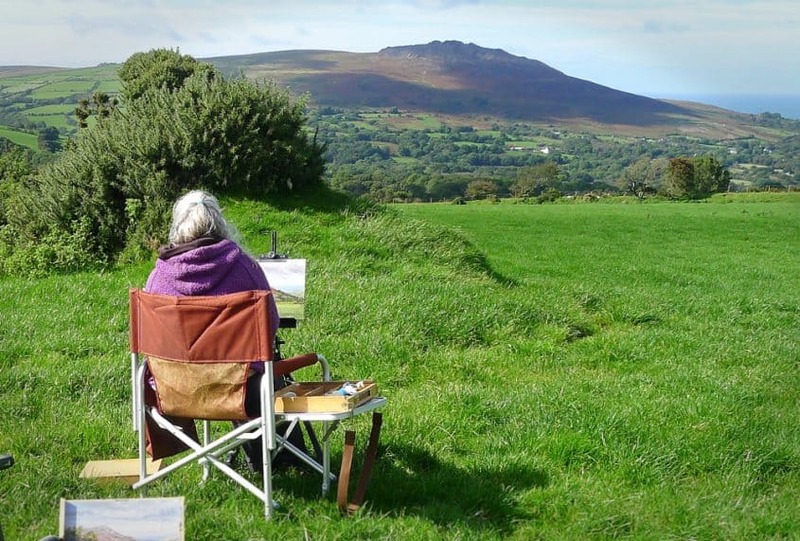 Here’s the view we’re painting – Carningli ( Angel Mountain ) which looks down over Newport in Pembrokeshire. It was incredibly beautiful up the Preseli mountains this day, with Ravens and Buzzards keeping us company all afternoon, and of course a few inquisitive sheep wondering what on earth we were doing. We were painting for about 2 1/2 hours, which is a good amount of time for this kind of outdoor plein air painting. See some more photographs of my outdoor painting adventures here.